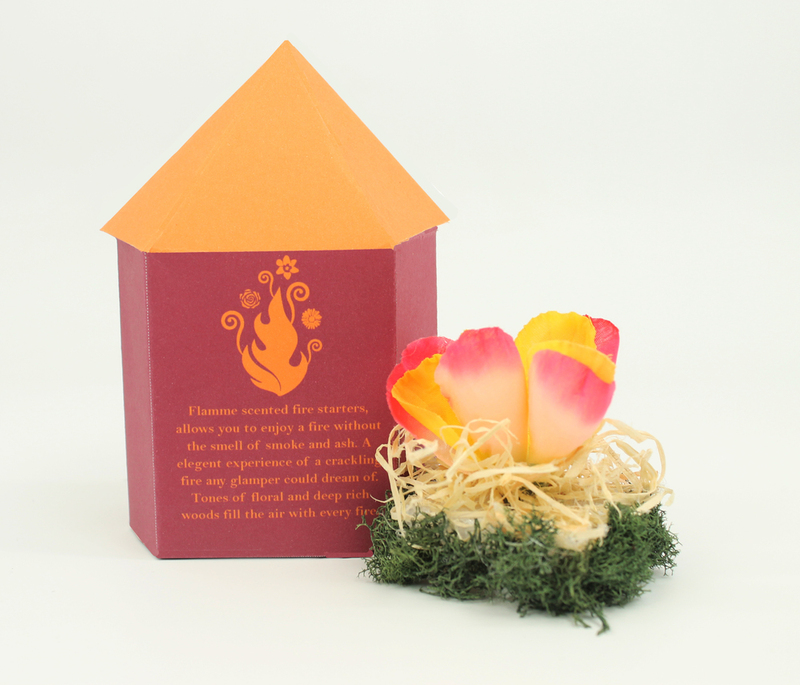 Flamme scented fire starters, allows you to enjoy a fire without the smell of smoke and ash. An elegent experience of a crackling fire any glamper could dream of. Tones of floral and deep rich woods fill the air with every fire. Deep bold colors are used for the packaging with the logo being the main focal point. 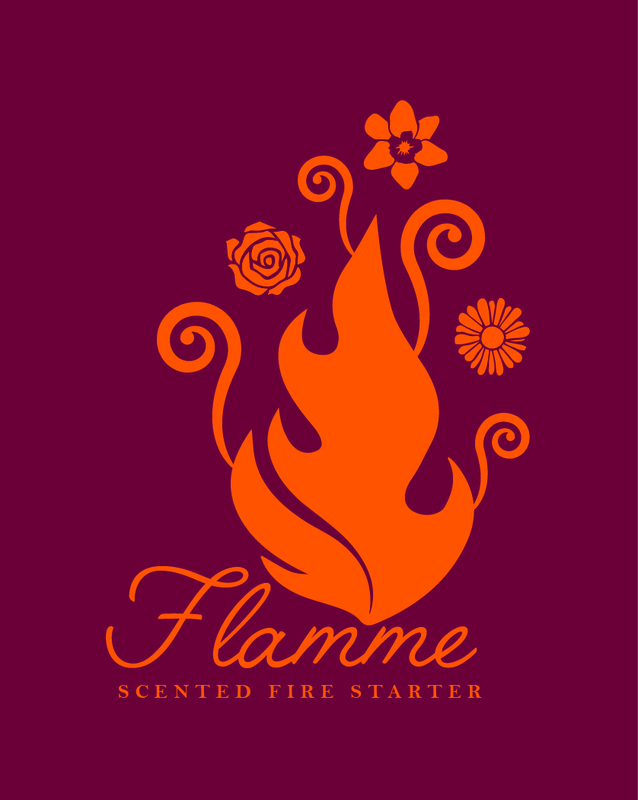 The logo shows a flame with flowers and swirls symbolizing how this product can change the look and feel of an ordinary campfire.